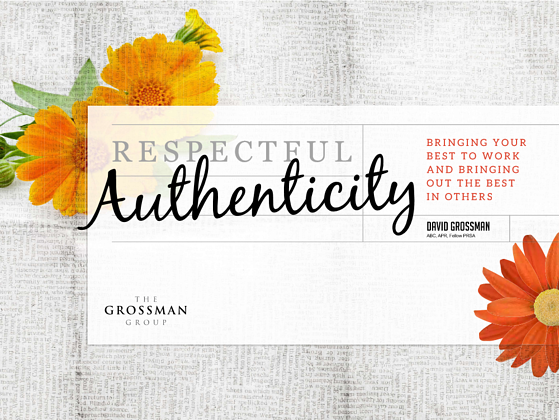 In David Grossman’s most personal ebook yet, he tells his story of self-discovery, and stresses the value of leaders living authentically so they can be their best selves, motivate their teams, and get results. Written for leaders who wish to bring more of who they truly are to the workplace, this eBook walks through the process of getting there, regardless of where they might be on their personal journey. Download—Respectful Authenticity: Bringing Your Best to Work and Bringing Out the Best in Others—by filling out the form to the right. We wish you the best as you start your journey to becoming a more authentic leader.